For those who follow my Blog, here is the finished piece of my WIP. 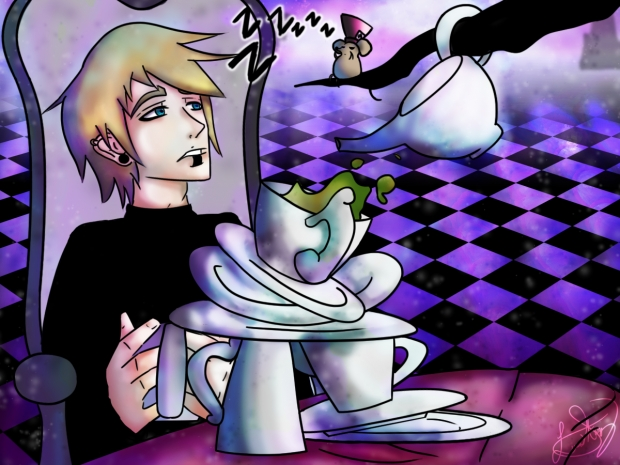 It's Alec in Wonderland! 8D I named him Alex at first, but then I thought that wasn't original enough. I like crazy names. C: So Alec it was!